Educational technology in a way could be traced back to the emergence of very early tools, e.g., paintings on cave walls. But usually its history starts with educational film (1900s) or Sidney Pressey's mechanical teaching machines in the 1920s. The first large scale usage of new technologies can be traced to US WWII training of soldiers through training films and other mediated materials. 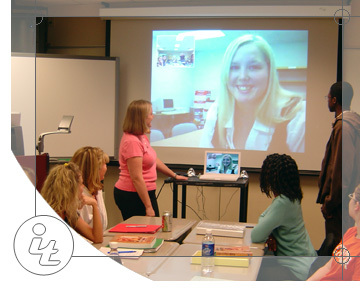 Today, presentation-based technology, based on the idea that people can learn through aural and visual reception, exists in many forms, e.g., streaming audio and video, or PowerPoint presentations with voice-over. Another interesting invention of the 1940s was hypertext, i.e., V. Bush's memex. The 1950s led to two major, still popular designs. Skinners work led to "programmed instruction" focusing on the formulation of behavioral objectives, breaking instructional content into small units and rewarding correct responses early and often. Advocating a mastery approach to learning based on his taxonomy of intellectual behaviors, Bloom endorsed instructional techniques that varied both instruction and time according to learner requirements. Models based on these designs were usually referred to as computer-based training" (CBT), Computer-aided instruction or computer-assisted instruction (CAI) in the 1970s through the 1990s. In a more simplified form they correspond to today's "e-contents" that often form the core of "e-learning" set-ups, sometimes also referred to as web-based training (WBT) or e-instruction. The course designer divides learning contents into smaller chunks of text augmented with graphics and multimedia presentation. Frequent Multiple Choice questions with immediate feedback are added for self-assessment and guidance. Such e-contents can rely on standards defined by IMS, ADL/SCORM and IEEE. The 1980s and 1990s produced a variety of schools that can be put under the umbrella of the label Computer-based learning (CBL). Frequently based on constructivist and cognitivist learning theories, these environments focused on teaching both abstract and domain-specific problem solving. Preferred technologies were micro-worlds (computer environments where learners could explore and build), simulations (computer environments where learner can play with parameters of dynamic systems) and hypertext.